I'm a rebel at heart. I break the rules all the time. 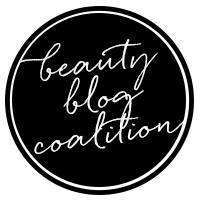 For instance, I wear shimmery blush or bronzer regularly - gasp! Joking aside, in the past few years we've been brainwashed with rigid makeup rules such as "you should use matte colors only on your face, and then add a stripe of metallic highlight on your cheekbone". Hmm no, it's not the only right way to do makeup! 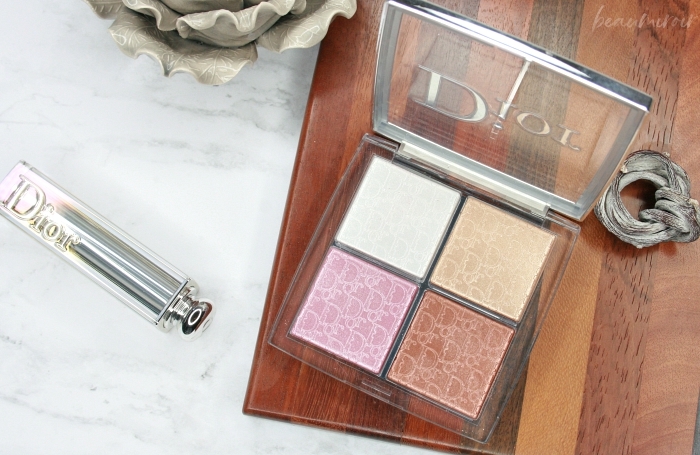 For us open-minded makeup lovers, Dior has released the Backstage Glow Face Palette, a quad of highlighters, blush and bronzer, all with an intense shine. Keep reading to take a closer look! 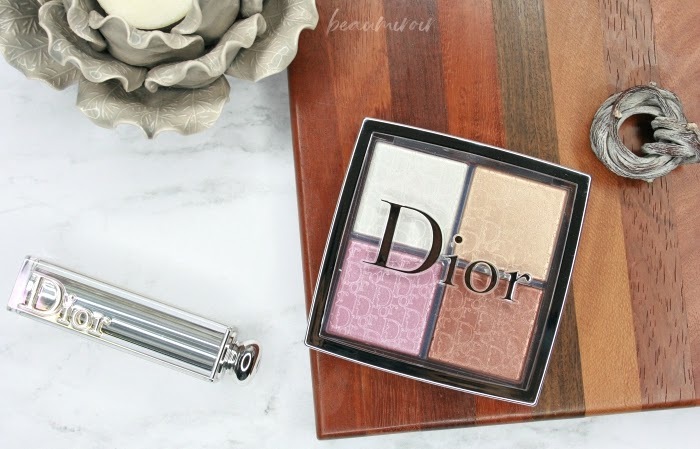 The Glow Face Palette is part of the larger Dior Backstage collection, a Sephora exclusive that features products priced a little lower than the brand's usual offerings, and designed for a younger audience. 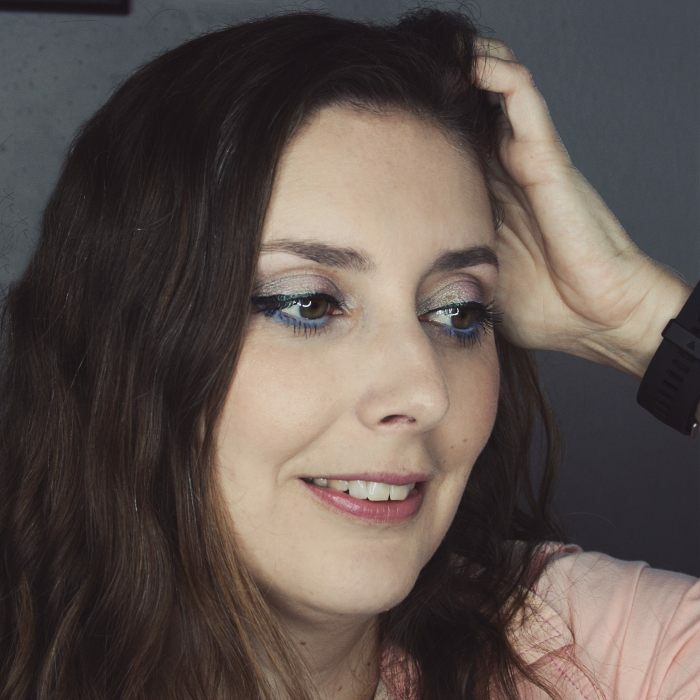 I've already reviewed one of the eye palettes, the Cool Neutrals, and I was curious about this face palette since it's getting very good reviews. I bought it during the last Sephora sale, so I've been playing with it for a while now. The packaging is in line with the rest of the Backstage collection: classy but minimalist, with a thin compact and clear lid embellished with silver accents. It's on brand for Dior, but sort of pared down. The brand did get their logo embossed all over the four powders though, which ensures that it's not visually too plain. The palette contains 10g of product and retails for $45, while Dior's classic highlighters are $48 for 6g - I told you the Backstage products were great value! - the top left shade is an ivory off-white with warm undertones. When you look at it closely on the skin in direct sunlight, you can see gold and pink micro-shimmer. 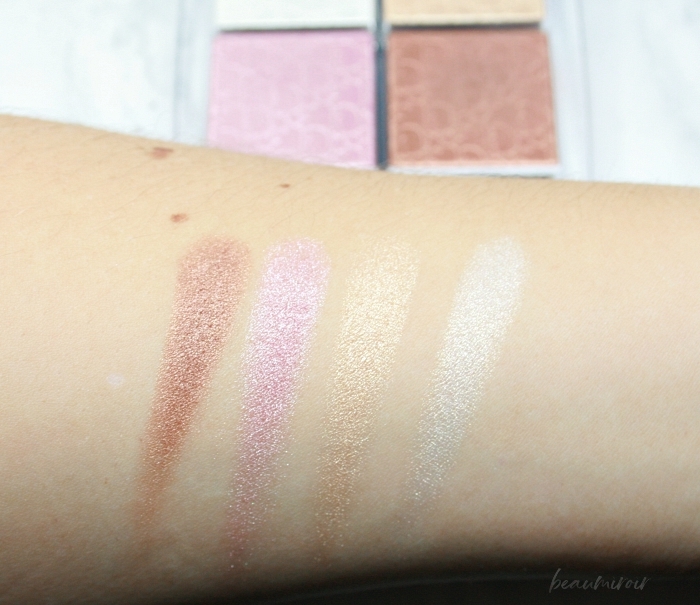 It's the sheerest of the four shades in the palette, and it does not look ashy on the skin at all, even when packed on. It creates an intense shine that gives skin a wet, dewy look. For a highlighter with such a reflective sheen, I don't think it emphasizes my pores and skin texture too much. 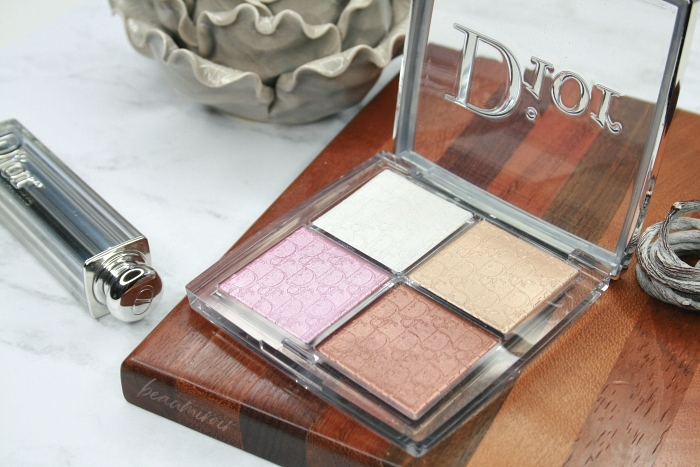 - the top right shade that Dior calls Gold is a soft golden beige with neutral undertones. It's also very shiny, but translates more metallic and less wet-looking on my skin than the white shade. - the bottom left shade is a cool, silvery pink with an intense metallic sheen. 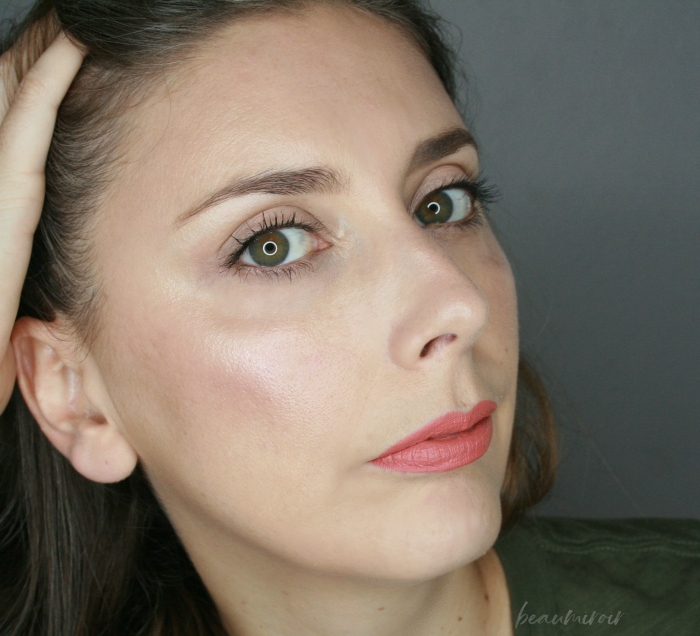 It is... not my typical blush shade! It doesn't just make my skin glow, like more classic shimmery blushes, it has a really strong shine. On deeper skin tones it should be an interesting pink highlight. On me it adds both a wash of pink and intense sheen, and you see more of the color or more of the metallic reflection depending on how the light hits my face. If you just want a blush that freshens up your cheeks with a hint of pink, you might have a hard time with this shade. But if you're open to something different, it's a fun way to add dimension to a look. 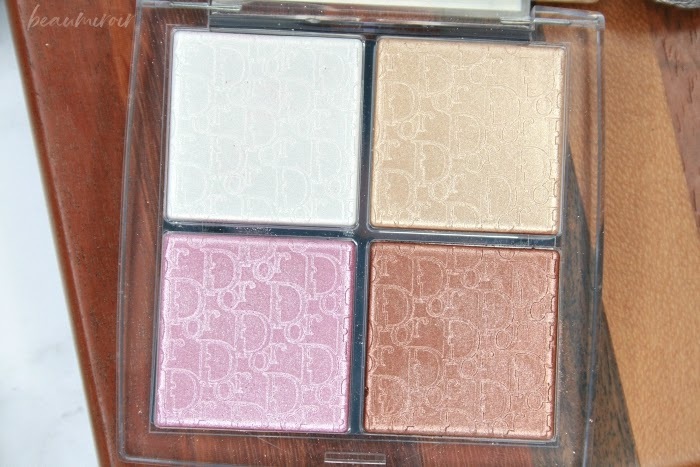 - the bottom right shade is a deep, rosy brown bronzer. While still very shiny I find it to be the least intensely metallic shade in this quad. It's a bit deep for my skin tone, so I have to blend it well to avoid visible sharp edges. It adds a nice warmth to the cheeks, and if I apply it very lightly I can bring it up to the temples and forehead for an all over bronzy glow. Kuddos to Dior for coming up with something new that doesn't stick to the current mainstream trends! If you like strong highlighters that make your skin look wet, you'd love the Backstage Glow Face Palette. 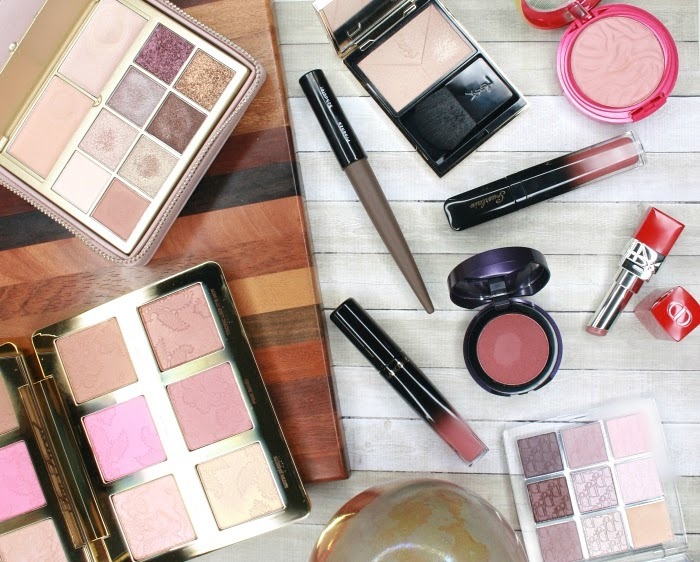 It's also fun to play with the colorful shades for a completely new take on blush and bronzer with metallic finishes!